Here’s An Essential 5 Minute Habit To Brighten Your Energy & Feel Fantastic! Energy Medicine by Donna Eden. This book is my handbook of mood lifting, self-aligning holistic greatness. And the 5-minute Energy Routine that Donna Eden created gives me dramatic results in minutes. I’m getting hooked on Energy Medicine again these days and this is… exhilaration for me. 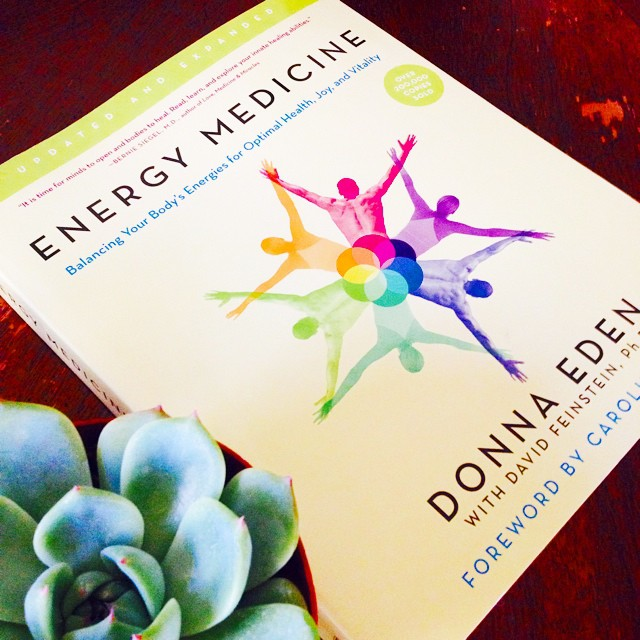 And you can learn more about Donna Eden and Energy Medicine HERE at Innersource. Holy moly this works! I love it! Thank you! Next post: The Lushness Of Vines Inside!